Jacksonville University has named Randal Freebourn, a performance-driven higher education veteran with extensive fiscal expertise, as its new Chief Financial Officer, effective Sept. 1. They toppled a 2015 national co-champion, and now the JU-CFA Institute Research Challenge team will head to Seattle April 6-7 to compete against other state champions in the Americas Regional Final of the CFA Institute Research Challenge. 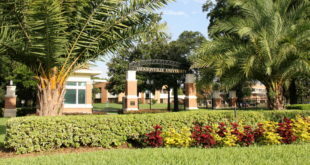 Upgrades to its leadership have prompted a new administrative structure at Jacksonville University, including naming Dr. Donnie Horner as Senior Vice President of University and Academic Affairs/Provost and streamlining University responsibilities into five primary areas. After five years of dedicated service in the Davis College of Business as the Department Chair of Accounting and Finance, Dr. Robert (Bob) Boylan has been awarded the Endowed Chair of Finance.